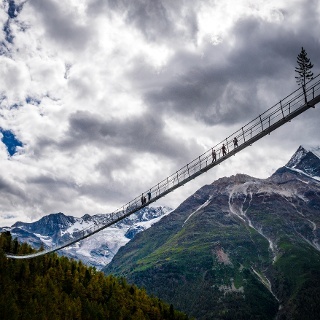 You can experience many unforgettable outdoor adventures in Switzerland. Here is what our travel guide for this great country has in store four you: fascinating tours, exciting stories, Event, great offers, diverse ski resorts, attractions, custom accommodations and cozy huts. 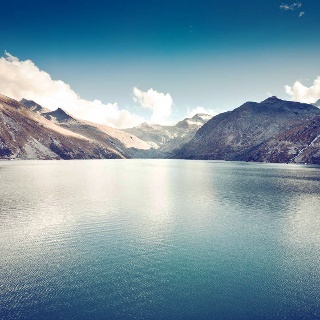 Be inspired and get to know Switzerland now. 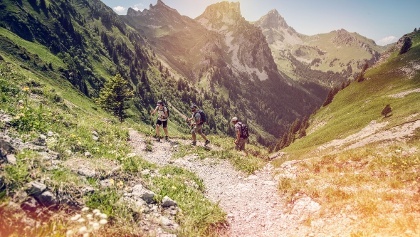 More than 60,000 marked hiking trails and 20,000 cycle routes make it easy to actively discover every corner of Switzerland - alone, with family or friends. 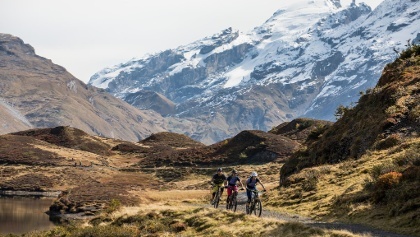 The country is particularly inviting to explore the unique peaks and elevations by bike. 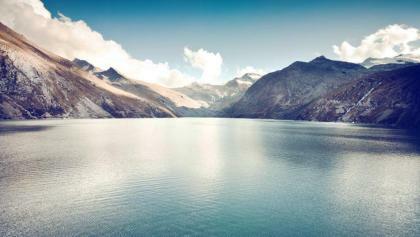 The tour leads to the Seebergsee through the idyllic Bernese Oberland. 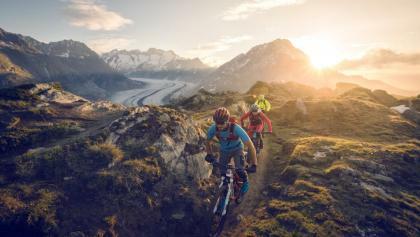 After a medium-difficult pass ascent, mountain bikers reach the picturesquely situated Seebergsee, which is embedded in the breathtaking Swiss mountains at about 1800 m above sea level. 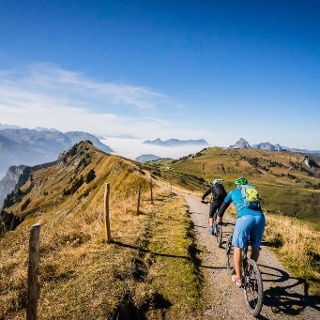 If, on the other hand, you want to see its "celebrities" on your bike tour through the Bernese Oberland, you are in good hands on the circuit over the Grüenenberg Pass. 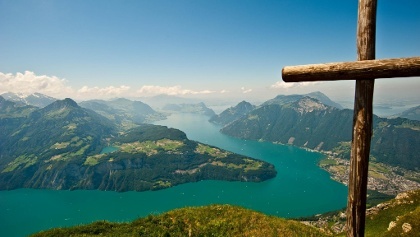 The tour offers a unique view of the triumvirate Eiger, Mönch and Jungfrau as well as Lake Thun in the foreground. 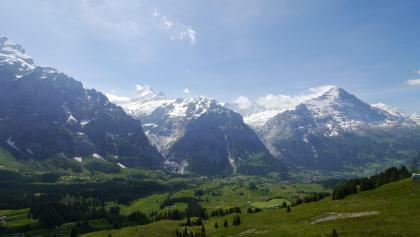 The best starting point for exploring its glacier area is Grindelwald or Adelboden. 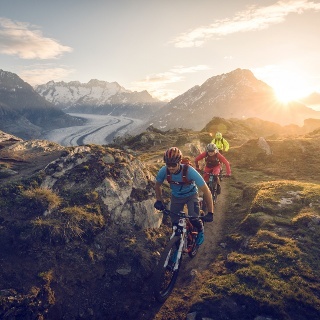 After a sporty day high up in the glacier regions and after numerous kilometres in the saddle, Switzerland rewards you with cosiness and relaxation after work. 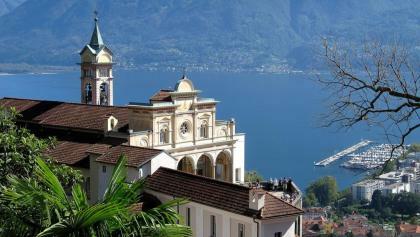 In Ticino, Mediterranean city centres invite you to a glass of Merlot in the evening sun. In the canton of Valais, the day ends in cosy wooden chalets with raclette or fondue food, while the Matterhorn shines in the last rays of the sun. 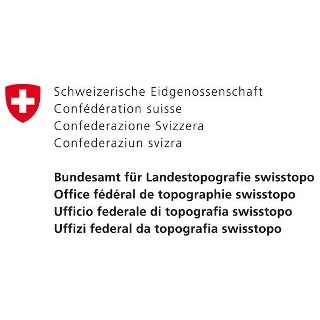 Switzerland also has a lot to offer culturally. All in all, there are over ten sights hidden here that have been included in the UNESCO World Heritage list. 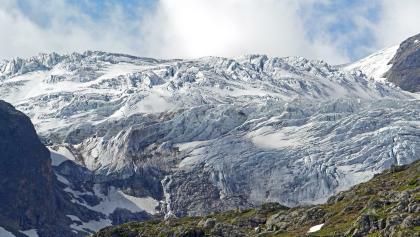 In addition to the Eiger, Mönch and Jungfrau mountain trio, whose glacier region is a World Heritage Site, there is also a World Heritage Site in Müstair in the canton of Graubünden. The local monastery of St. Johann not only runs a museum that provides information about the everyday life of the Benedictine nuns, but also conceals a much more valuable treasure: on the walls of the monastery church are the oldest and best preserved frescoes from the early Middle Ages as well as Romanesque wall paintings from the 12th and 13th centuries. 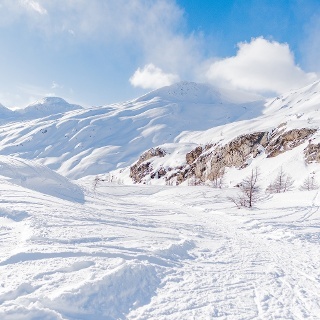 The Swiss mountains not only inspire hikers and bikers in the warm season, but also winter sports enthusiasts feel at home in the midst of the impressive mountains. 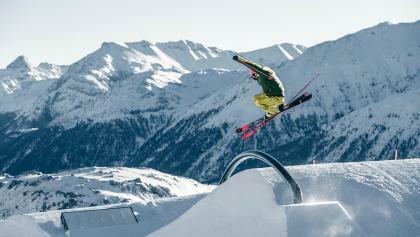 Between more than 3000 peaks at an altitude of over 2000 m there are numerous ski areas that guarantee guaranteed snow. 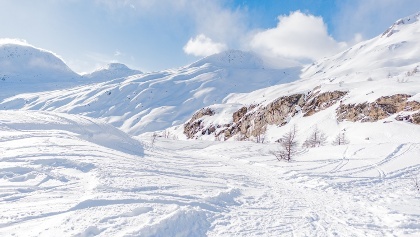 And in Zermatt, Europe's highest all-year-round ski area, downhill runs through the snow can be enjoyed throughout. 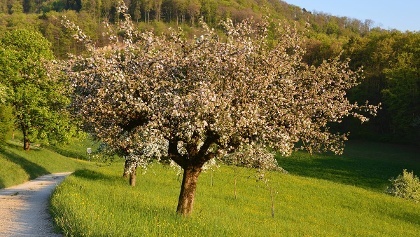 Discover Aargau far away from the beaten paths. Looking for travel recommendations? Our travel guide provides you with the best things of interest that Aargau has to offer. 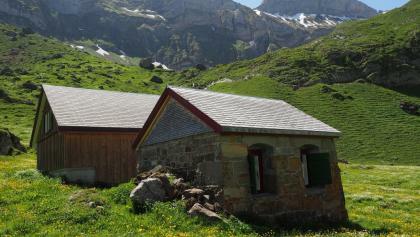 Appenzell Inner-Rhodes offers outstanding adventures for travelers. Eager to get some travel suggestions? With this online guide you can plan your trip to Appenzell Inner-Rhodes very easily. If you are considering an active vacation, you have to consider Appenzell Outer Rhodes. Hungry for travel recommendations? Our exclusive travel guide allows you to easily plan your perfect travel. If you are looking for an action packed vacation, there is no better place than Basel Land. Looking for some travel recommendations? Your individual guide allows you to effortlessly plan your perfect trip to Basel Land. 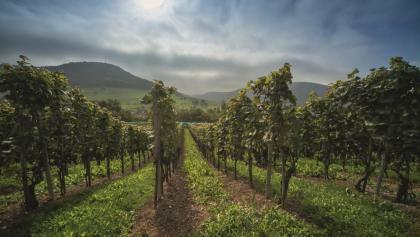 Stunning countryside, kind folks and tons of stuff to do: The Basel Country is a favorite place to be amongst outdoor fans. Eager to get travel suggestions? 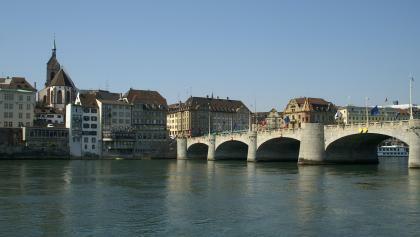 With our online guide you can plan your vacation to the Basel Country without any effort. 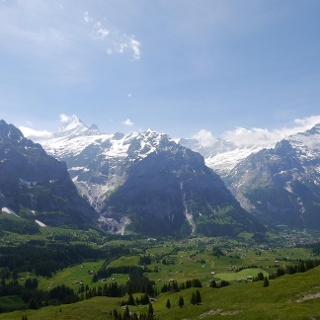 Bern is the kind of country that outdoor enthusiasts return to over and over. Do you need some travel recommendations? Your individual travel guide allows you to quickly plan your ideal travel. Canton Jura offers an endless feast of experiences for tourists. Do you need some travel tips? 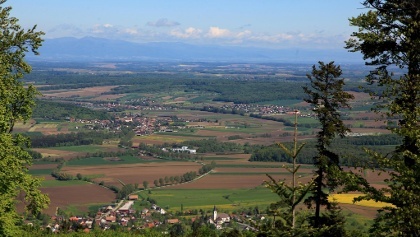 Our travel guide provides you with the best sights that Canton Jura has to offer. Get exclusive info on tours throughout the region, events you should not miss, the most notable sights and places to stay. 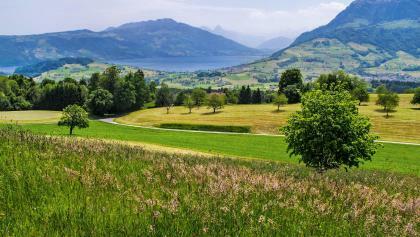 The choices for travelers in the Canton of Schwyz are dazzling and seductive. Hungry for some travel recommendations? 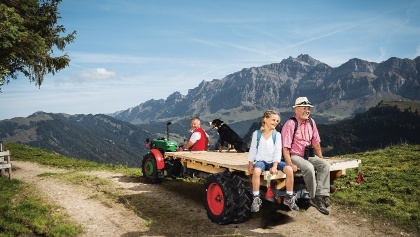 With your online guide you can plan your journey to the Canton of Schwyz very quickly. 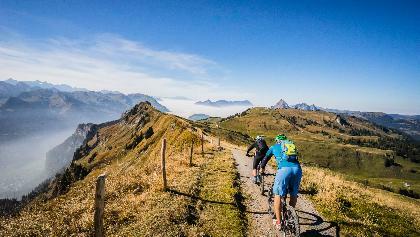 If you are considering an sporty holiday, you have to consider the Canton of Zug. Hungry for some travel suggestions? 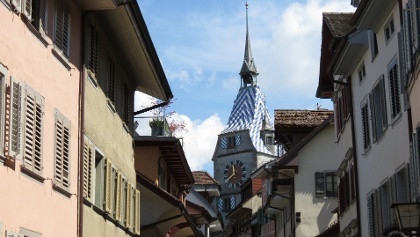 Our individual travel guide allows you to smoothly plan your ideal trip to the Canton of Zug. The choices for travelers in Fribourg are dazzling and bewildering. Eager to get some travel suggestions? 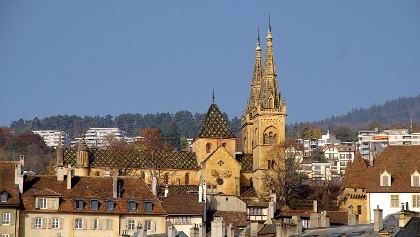 With your online guide you can plan your trip to Fribourg very quickly. Get handy info on trips throughout the region, all events, the most outstanding sights and accomodation. Leave the well beaten paths and discover Geneva on your own. Hungry for trip ideas? 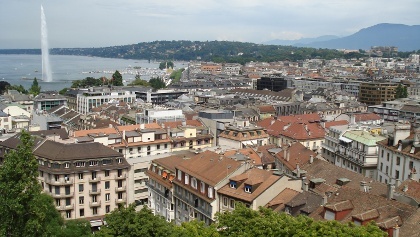 With our online guide you can plan your adventure to Geneva very easily. Gather info on the best adventures throughout the region, all events, the most remarkable places to see and accomodation. The choices for travelers in Glarus are blazing and seductive. Do you need trip ideas? 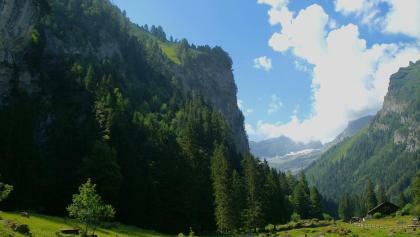 With your online guide you can plan your holiday to Glarus without any effort. 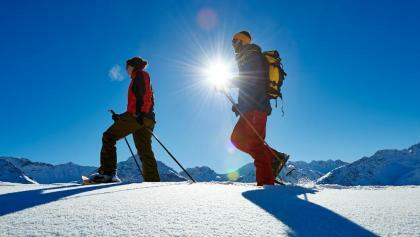 Discover Canton Grisons far away from famous tracks and experience striking outdoor trips. Do you need travel suggestions? 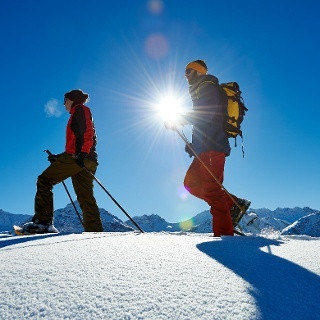 With our online guide you can plan your trip to Canton Grisons very easily. If you are considering an active vacation, you can’t get around Lucerne. Eager to get some travel suggestions? With your online guide you can plan your journey to Lucerne effortlessly. Get inspired by trips throughout the region, unmissable events, tips for places to visit as well as accomodation. 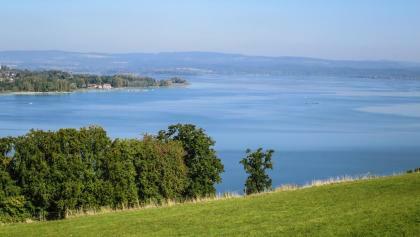 If you are planning an sporty vacation, there is no better place than Neuenburg. Eager to get some trip ideas? Your individual guide allows you to effortlessly plan your perfect jaunt. 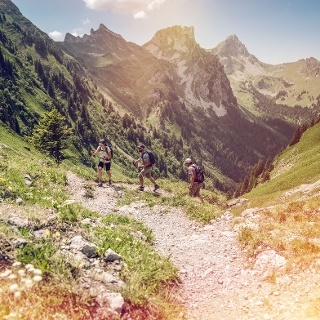 Leave the well beaten paths and discover Nidwalden on your own. Are you looking for travel recommendations? 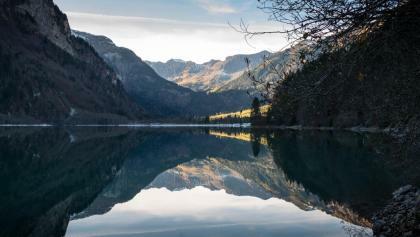 Your individual online travel guide allows you to easily plan your ideal travel to Nidwalden. 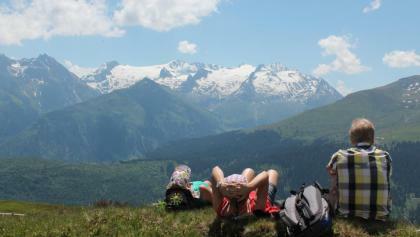 Obwalden is a well-known place to visit for outdoor fans. Looking for travel suggestions? 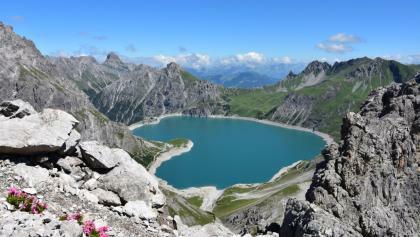 Our online travel guide provides you with the best things of interest that Obwalden has to offer. 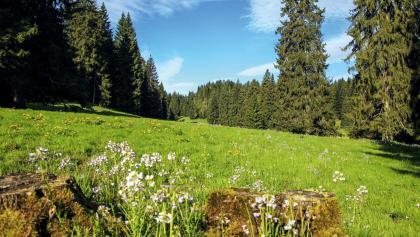 Discover the Canton of St. Gallen far away from popular routes. Are you looking for travel recommendations? 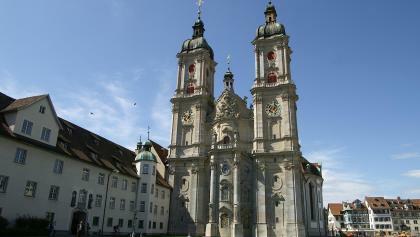 Our travel guide provides you with the best things of interest that the Canton of St. Gallen has to offer. If you are considering an active vacation, there is no better location than Schaffhausen. Are you looking for some travel tips? 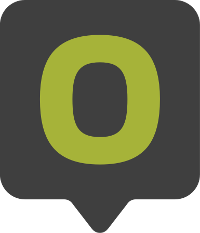 This individual online travel guide allows you to easily plan your ideal travel. If you are dreaming of an action packed vacation, there is no better destination than the Canton of Solothurn. Looking for some travel tips? Our online travel guide provides you with the best sights that the Canton of Solothurn has to offer. Thurgovia is the kind of destination that travelers return to over and over. Eager to get travel suggestions? With this online guide you can plan your trip to Thurgovia effortlessly. 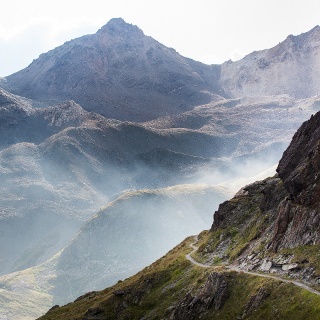 Leave the well beaten paths and discover Ticino on your own. Need some travel tips? 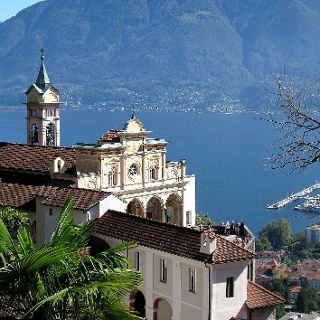 This individual online travel guide allows you to comfortably plan your perfect vacation to Ticino. Discover the Uri Canton far off popular routes and live through extraordinary outdoor trips. Eager to get travel recommendations? Our travel guide provides you with the best adventures that the Uri Canton has to offer. 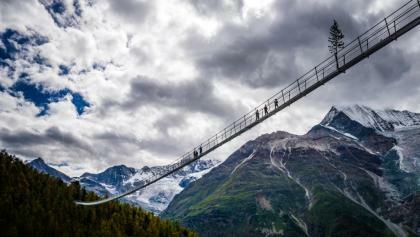 The options for tourists in the Valais Canton are blazing and seductive. Need travel suggestions? 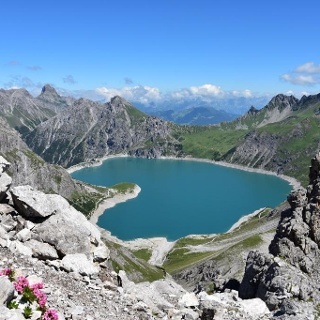 Our travel guide provides you with the best activities that the Valais Canton has to offer. 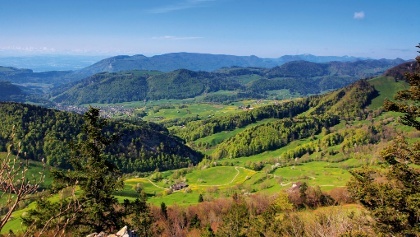 The Canton of Vaud offers an endless feast of experiences for outdoor enthusiasts. Eager to get travel recommendations? 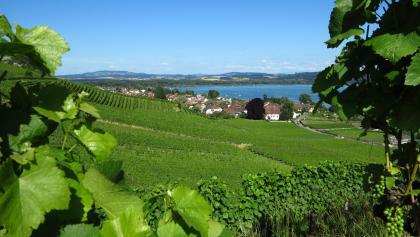 With your online guide you can plan your trip to the Canton of Vaud effortlessly. If you are looking for an action packed vacation, you can’t get around Zurich. Hungry for travel recommendations? 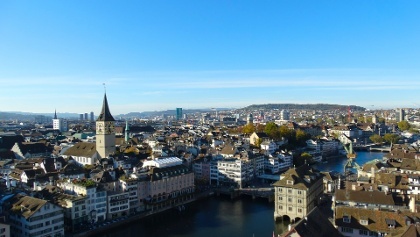 With our online guide you can plan your vacation to Zurich without any effort.